Evidence of solid job and low unemployment should bolster decision last month to hold interest rates steady. The strong March employment report should allow Federal Reserve officials to breathe a sigh of relief by showing that weak payroll growth in February was an aberration and not the start of a more serious economic slowdown. Evidence of solid job growth and low unemployment should bolster their decision last month to hold interest rates steady for a while. In other words, the report should be “good enough” to keep on the sidelines for now. Employers added 196,000 jobs in March, slightly above the 180,000 monthly average so far this year, the Labor Department reported on Friday. The unemployment rate held steady at a very low 3.8% and average hourly earnings rose 3.2% from a year earlier, near their highest levels in the past decade but slightly below the pace recorded in February. 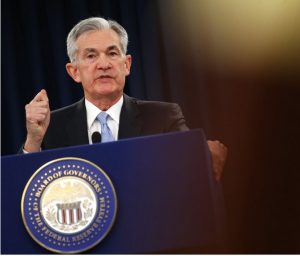 Most Fed officials signaled last month they didn’t think any interest rate increases would be appropriate this year as long as the economy’s growth rate slowed to around 2% from last year’s 3%.